With the tremendous popularity of real-time and streamlined Smartphone apps like Uber and Amazon Prime Now, it is no wonder that the American Kitchen seems to be following suit with perpetual advancements in appliance-technology. Imagine a grocery shopping experience where with the swipe of a button, you can see the physical inside of your fridge, allowing you to see which products you are out of and which items you are stocked up on. Well this seemingly futuristic experience is now actually possible. Earlier this year, Samsung released a top-of-the-line refrigerator with numerous special features including the one outlined above. 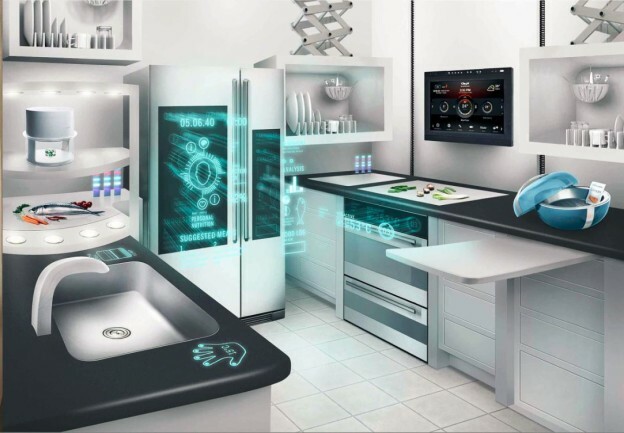 And, it is not just refrigerators that are experiencing a serious technological face-lift; touch-screen microwaves, dishwashers, and even toasters are now also available on the market! So what are the implications of all of these advanced, technology-savvy appliances? It seems that the days of touch-screens, mobile apps, and voice-activated features have only just begun. We are anticipating the “New American Kitchen” to be filled with these products. As a renovation company, we strive to steer you in the right direction with your kitchen remodeling needs. Want to learn more about which of these luxury appliances will best suit you and your needs? Contact us with your questions and we will be happy to help out! We know that the new fast-paced, technology-dependent world can be daunting for some people. Let us help make your transition into a modern and up-to-date kitchen as seamless as possible by providing you with all the help you need. This entry was posted in Kitchen Remodel and tagged Trends on August 30, 2016 by Krista Boyum. Hot Summer Trend: Specialty Outdoor Grills, Ovens, & More! In our last blog, we discussed some of the most popular trends we have been seeing throughout the past year. 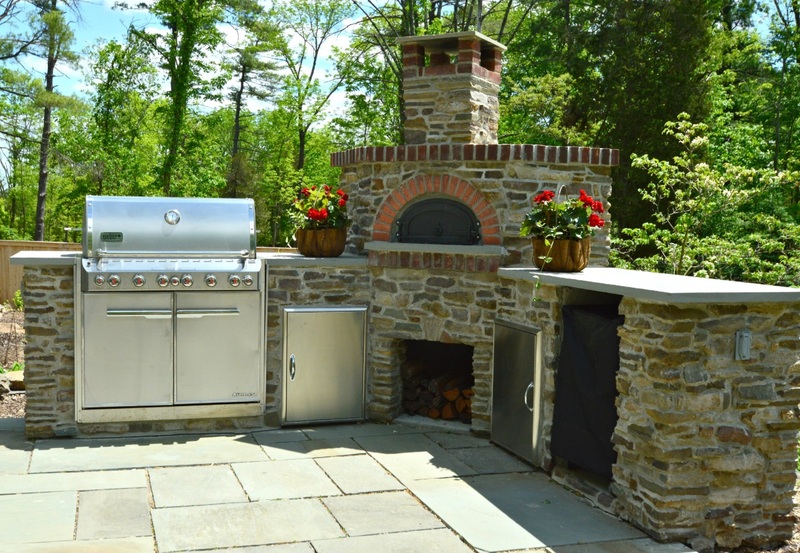 Summer is the perfect time to highlight one of these trends in more detail: outdoor meal preparation appliances and seating space. 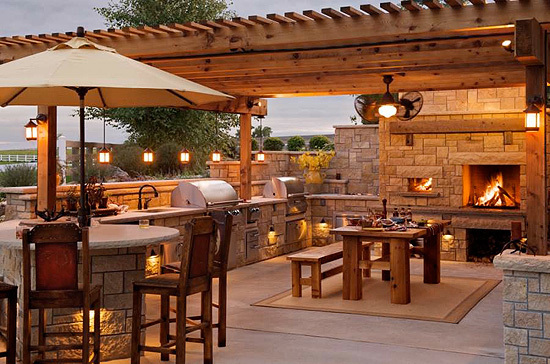 Gone are the days of small concrete slabs and portable clearance-priced grills—today we are seeing people transform their backyards into a space dedicated to high-end meals and entertaining. Among millennials, the “create your own” meal idea compliments this trend nicely allowing for easy-to-make vegan and gluten-free options such as grilled home-grown vegetables that can be prepared all in your very own yard. Grills have become more advanced than ever with add-ons and custom design options creating a personalized customer experience. Another product that is experiencing an increase in demand: outdoor wood-fire ovens. These luxury ovens appeal to the 21st century “foodie” because they can add a delicious woody flavor to your food while simultaneously creating a unique dining experience for your guests. Pinterest is exploding with different flatbread and pizza recipes for these ovens from classic margherita to specialty macaroni & cheese pizza. “Healthy” is an option too with lean, wood-fired chicken breast or turkey making a popular meal entrée as well. Have a few ideas you would like to get started on? Contact us and we will get the ball rolling! This entry was posted in Uncategorized on August 12, 2016 by Krista Boyum.